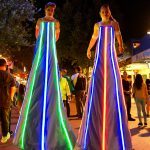 LED Stilt walkers - ""
Stilt designs with lights, created and based in Perth. 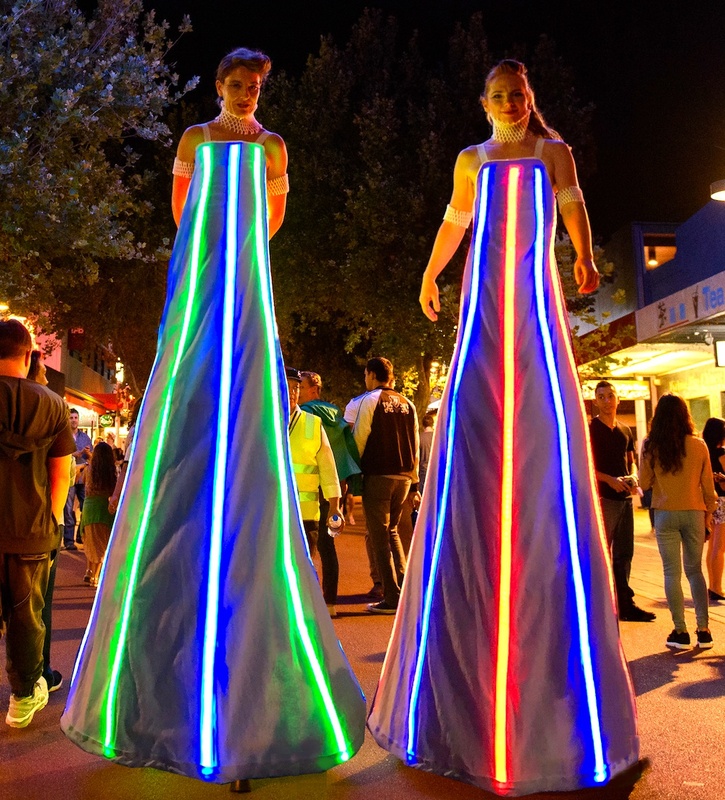 Two beautifully illuminated LED costumes for stilt walkers, which were designed and created by a leading Perth stilt performer. 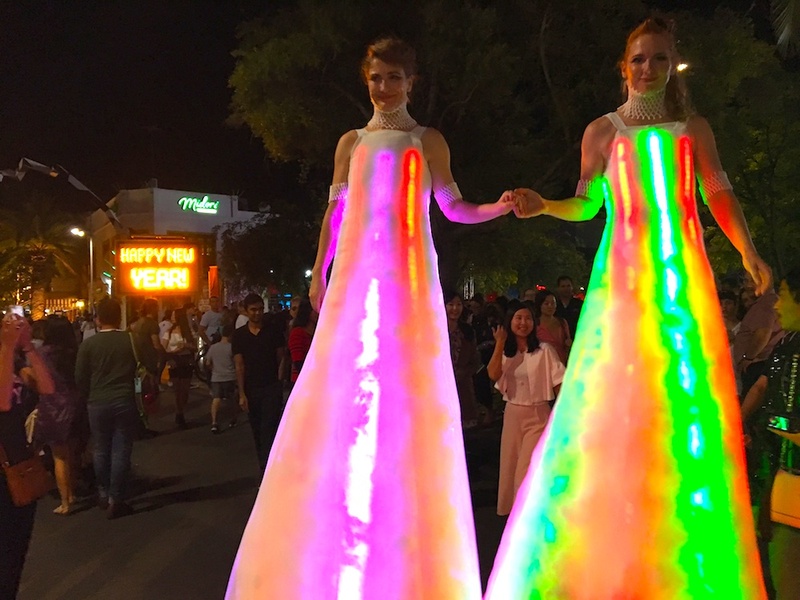 After extensive research and experimenting with all kinds of LED products and battery configurations, two designs were eventually conceived; one called Clouds, with LED lighting underneath the material that creates a soft diffused lighting effect, and Light Lines, which has the LED lighting on the outside of the material, creating a powerful neon effect. The lighting can be set to a specific colour or can change randomly. 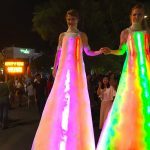 They have appeared at Enlighten (Canberra) and the Fremantle Street Arts Festival (Perth). There are two costumes available for each design.